My Dad tells me that in year 10 I did a careers assessment and it came out that I was suited for the public service. Well, I think our memories are a bit different because my recollection is that I scored high in the ‘entrepreneur’ category. But somehow I ended up in the public service, with dreams of business success. I’m one of those people who always has a notepad nearby, ready to capture good ideas for business models. So it was with interest that I heard about the Canberra-based GRIFFIN Accelerator program to enable start-up success. Yes, Canberra based. Canberra is becoming quite a centre for innovation. You read about it here first (if all the stories on The Riot-ACT about business leadership didn’t give you a clue). And I’m sure it is not the last you will ever hear about Canberra and innovation. 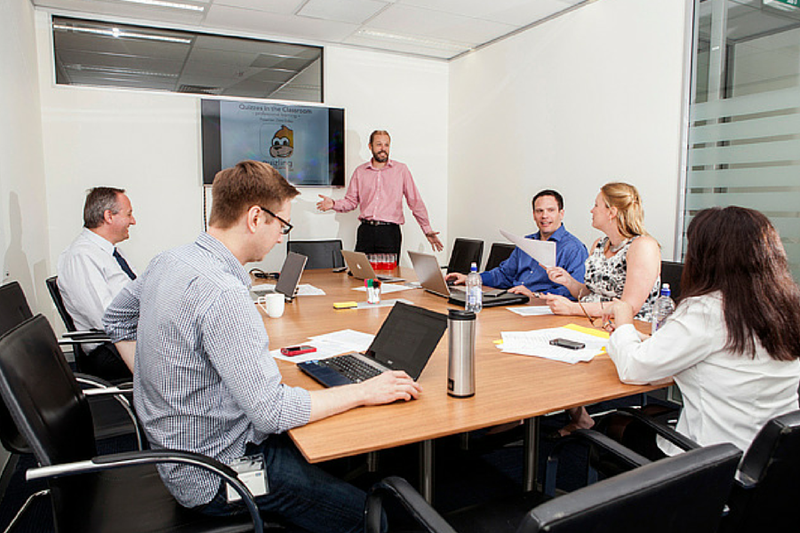 The GRIFFIN Accelerator is a six-month program driven by lead mentor and CEO Dr Craig Davis. Craig’s background is in physics, and he has held research positions at the University of Cambridge and Australian National University. But he also has a strong research and innovation interest, including founding TakeABreak, an online accommodation business. The GRIFFIN Accelerator is designed for people who have a bright idea that they want to develop quickly. Successful applicants are mentored and guided – and this is not mere rhetoric. Successful start-ups are offered co-working space for six months and are matched with a mentor, who invests $25,000 of his or her own money in the project. The mentor takes a 10% stake in your business, so he or she really want the start-ups to succeed, and they will push and guide start-ups in the program during mentoring sessions each Monday. The program also aims to enable participants to create great pitches to the investors that they will be introduced to. The expectation is that after three months the start-up company will have a value of more than $1 million. Think you have what it takes, but you are not too sure? Why not submit an online EOI? “Don’t self-filter yourself out worrying about whether or not your idea would make the cut,” said Craig at the launch event on Wednesday night. “Just apply, and leave the hard decisions on who will be successful to us.” All applicants, successful or not, are eligible to receive feedback on their proposal. Applications close on 22 April. The GRIFFIN Accelerator has produced some outstanding alumni, and you might be surprised to find that they are not necessarily high-tech young males like the stereotypical view of innovators. Check out for example Rockstars and Royalty designer Vicky Kidd Gallichan.